Generations of gardeners have called it a favorite because of how adaptable it is to a wide range of growing conditions. 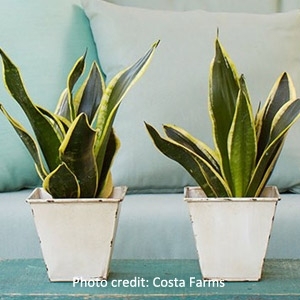 Most snake plant varieties have stiff, upright, sword-like leaves that may be banded or edged in gray, silver, or gold. Snake plant's architectural nature makes it a natural choice for modern and contemporary interior designs.